In 2005 I received a telephone call from a young television director, Matthew Burgess, of Making Time TV, and asked if I believed that it was possible for dogs to ‘commit suicide’. My immediate reaction was that it was ‘impossible’ for a dog to premeditate its own death. I went on to discuss that, whilst many animals appear to be able to ‘sense’ that their death is imminent and it is a common mistake to humanise a dog with our behaviour. Whilst it is a fact that some infirm animals are known to seek out a quiet sheltered place to experience a final resting, in what we might describe as a dignified end to life. An example of this has been recorded in the case of African elephants; when some individuals are nearing the end of life, they are known to make a last journey to a place referred to as the ‘elephant's graveyard’. Instinctively, these giants - the largest of land mammals on this planet - appear to know that this rather sad mission has to be made. This is also observed in some domesticated animals, including dogs and cats, when they search out a ‘bolt-hole’ when fatally injured or diseased. However, the majority of suicides in people are recognised not to have made the same type of instinctive decision. In the mist of acute depression suffers rarely make rational decisions and ‘ending it all’ for some is by making a fatal leap; the chosen option because they cannot ‘see’ a way out of their personal situation. After I had replied with an emphatic ‘NO’ my own question was to ask Matthew why he wanted to know if I believed that dogs could commit ‘suicide’. 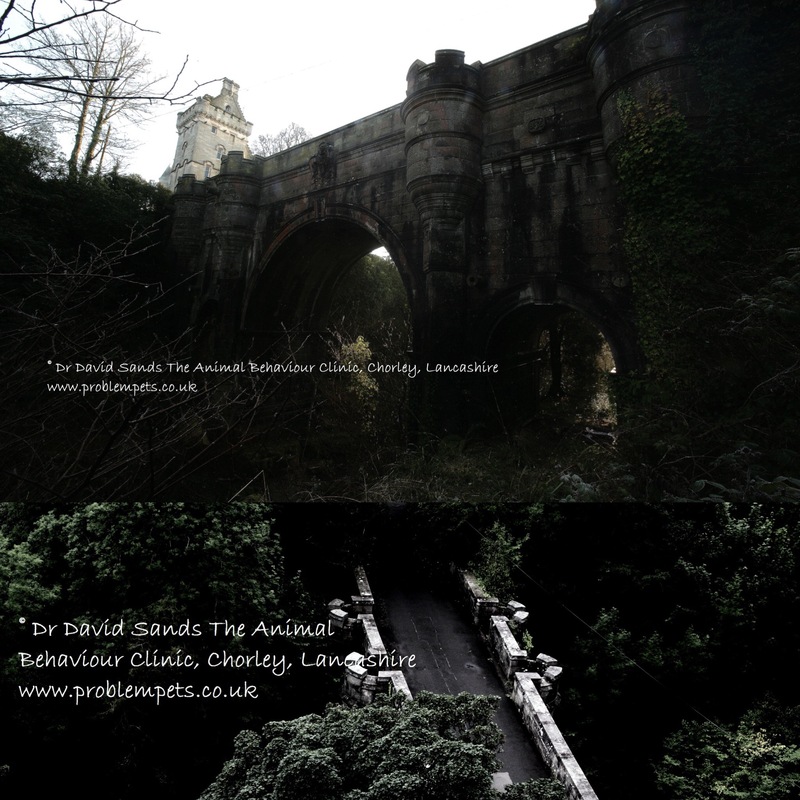 He replied by explaining that he had come across a strange phenomenon a significant number of dogs, over a period of decades, had inexplicably lost their lives by ‘jumping off’ Overtoun Bridge, near Dumbarton, in Scotland. Locals believed in a range of conspiracy theories; that the dogs had been mesmerised or attracted to the sound of water or drawn in by an ‘optical illusion’ whilst others believed that nearby giant electricity pylons were producing static that confused the dogs. There was even the suggestion the bridge is haunted through a story about a local man who was later sectioned under the Mental Health Act after throwing his baby off the bridge. Knowing there would be a scientific explanation rather than a myth, my initial guess, as a human and animal behaviour, eventually became the most likely explanation. When I first stepped onto Overtoun bridge, on a cold winter’s morning, I was immediately struck by the striking Gothic structure. This added to the image of Overtoun House which was shrouded in a ‘Hammer House of Horror’ rolling fog. This building, once home to Lord and Lady Overtoun, had left to people of Dumbarton by the wealthy Victorian philanthropist. 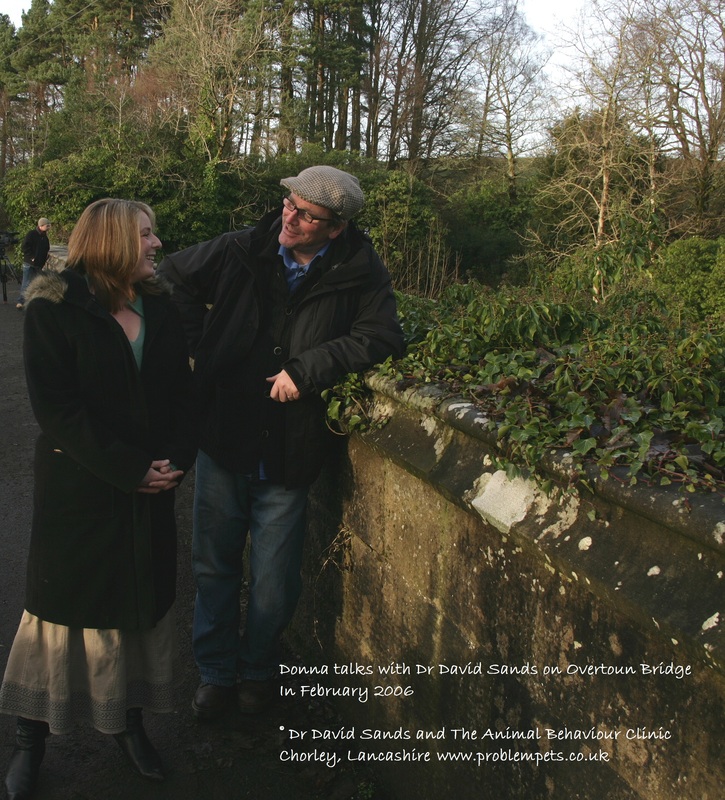 I was eventually joined on the bridge by Donna. She was one of the people who, on a family walk the previous year had lost a lively Border Collie named Ben. She gently described how she and her husband walked happily onto the bridge with their young son as the dog explored. Suddenly, without warning, Ben jumped onto the parapet wall and dropped out of sight. It was not difficult to imagine their sense of panic as Donna's husband struggled down the steep bank to the gorge river below. When Donna left me alone on the bridge and strolled back towards the grand house I walked its full length and tried to put my mind into that of a dog. The entry point at the far side of the bridge stands at the end of an innocuous looking tarmacadam pathway lined either side by trees and impenetrable bushes. The path slopes downwards and curves away until it disappears. A family with a dog would approach the walkway like any other in a local park with the same pathway. A lively dog would likely criss-cross a path from either side to explore the undergrowth. There are no slopes or cliff edges on this approaching path. Once on the bridge at the first of four sets of parallel parapets, my first thoughts were that the solid stone walls would create both visual and sound barriers to a dog. In addition, the initial top of the bridge walls are covered with ivy that could add an optical illusion. After a casual look from my standing height, the other side of the walls from the semi-circular parapets is a 40-50 foot drop to the gorge below. A dog on the ground would not be aware of this significant drop until the last moment when momentum was already too late to change. Other factors including the presence of the continual sound of water rushing between the river boulders, dominates the surrounding air. This and wind noise, together with dense foliage choking the scenery immediately beyond the bridge, effectively serves to hide all but the largest of the water falls down below in the gorge. I had predicted from the onset there might be some type of strong scent around the I predicted from the onset there might be powerful wild animal scents around the parapets that might over-stimulate a dog's senses. However, I needed some evidence of something more tangible. I knew there would be scent-marking from rats, squirrels, stoats and possibly the rarer pine-martins or the related, much larger, mink. The latter creature first introduced from North America into the UK for farming and inadvertently (or deliberately) released into our countryside. The death-records of most dogs that have leapt from the bridge date back to the onset of mink-farming in the 1960s and this factor offered an additional clue. Evidence of mink or otter was confirmed in the area not only by a naturalist, who spotted droppings beneath the bridge, but also by Kenny, who explained as an angler that the top hill-quarry had lakes that contained trout (perfect diet). James, my brother in law, witnessed what could have been the presence of otter or mink which he calmly watched follow a hedge-trail behind me during filming.